Geoffrey Hobbs QC is an advocate and advisor specialising in intellectual property law and related aspects of competition and commercial law. 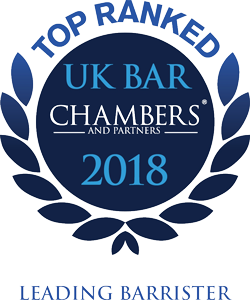 Winner of the IP/IT Silk of The Year 2012 Award at the Chambers Bar Awards, he is recommended as a Leading Silk by both Chambers UK (IP) and The Legal 500 (IP, Information Technology and Media, Entertainment & Sport). He is authorised to sit as a Deputy Judge in the High Court of England & Wales (Chancery Division). He is also the senior Appointed Person hearing Appeals from the UK Registrar of Trade Marks under s76 Trade Marks Act 1994. He has acted as Arbitrator in both ICC and LCIA proceedings. An exceptionally talented IP litigator, particularly highly thought of for his work in trade mark disputes. His recent activity includes advising on judicial reviews, online advertising and multi-jurisdictional infringement claims. He also practises in patent cases and has experience acting for pharmaceutical companies in matters arising from the marketing of 'skinny label' products.